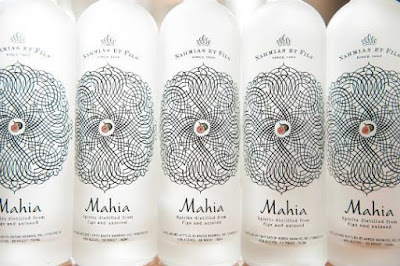 Mahia is an award-winning product and the only handcrafted fig spirit which is made in the United States. It requires over six-pounds of figs per bottle and is featured at Epcot Center's Moroccan Pavilion. It's completely not we expected, based upon its description. The nose is citrus and invigorating. It does have a fig taste. But, we've found that this can be covered up with a strong citrus mixer. We know. We know. Why bother with a fig-based spirit if we're only going to cover up? Because. Mahia is balanced and should be consumed as a digestif. A sip leaves drops sweet notes of anise on the tongue and the finish is very smooth. Intensely smooth. We want to dance a little. Perhaps, after a little more and this article has been written. In Collins glass muddle lemons and simple syrup. Add ice, mahia and whiskey. Stir top with ginger ale. Blend the almonds and two cups of the water in a blender and blend until very smooth. Pour into a medium saucepan and add the sugar. Bring the mixture to a boil, reduce heat, and simmer for several minutes. Remove from heat. Add the remaining 4 cups of water. Let cool to room temperature and strain. Add the orange blossom water. Cover and set to chill in the refrigerator. Combine the orange-flavored liqueur, gin and mandarin liqueur in a cocktail shaker with ice. Strain into a rocks glass filled with ice. Add a splash of soft drink and garnish with and orange slice and mint sprig. We found Nahmias et Fils on sale at drinkupny (currently) on sale for $36.99. Nahmias et FIls is the first micro-distillery to be based in Yonkers, NY. We produce unique artisanal spirits such as Mahia which is a traditional Moroccan spirit distilled from figs, Legs Diamond un-aged rye whiskey and Legs Diamond aged rye whiskey. Since we began production in mid 2012 our Mahia has been awarded a Silver Medal at the 2012 New York International Spirits Competition and 93 points by Anthony Dias Blue. We have also received media coverage from the New York Times, NPR, and LA magazine. Our products are currently available in New York, Connecticut, California, Massachusetts, Rhode Island, Washington DC, Maryland and Pennsylvania, Georgia. Our Mahia is also featured at the Moroccan Pavilion at Epcot Center. 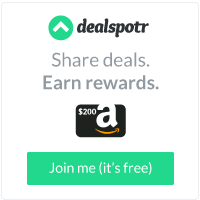 Leave a Comment | 23, Cocktail, et, Fils, Nahmias, Recipes, September, T.G.I.F.